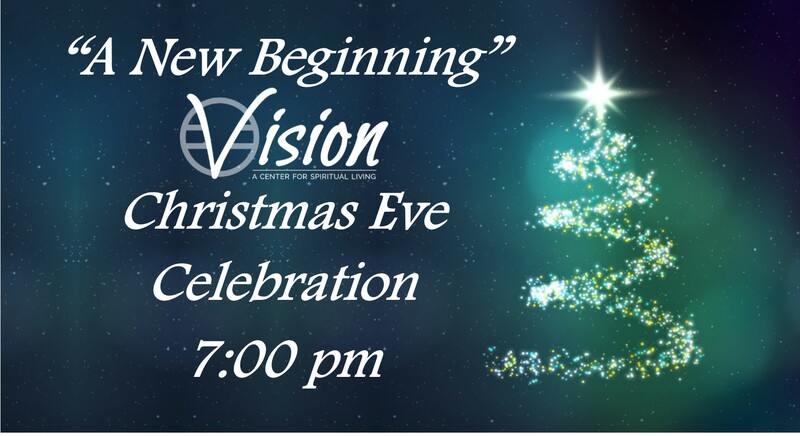 VISION: A Center For Spiritual Living - CHRISTMAS EVE CELEBRATION - "A New Beginning"
CHRISTMAS EVE CELEBRATION - "A New Beginning"
Join us on Monday, December 24th for our 12th Annual Christmas Eve Celebration. Our theme for the night is "A New Beginning". We have all kinds of great music with the Higher VISION Choir and the VISION Band. Special message by Rev. Patti Paris. You don't want to miss another great Christmas Eve at VISION!